Fall is just around the corner and that means cooler weather, beautiful colors, and pumpkin patches. 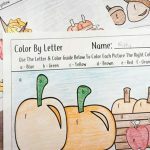 Fall is my favorite season and I love a good fall-themed activity. My 4.5 year old daughter is all about learning how to read right now, so we have been working on sight words and CVC words to help her move toward reading on her own. 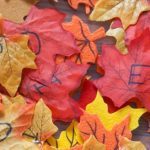 I am sharing a fun, hands-on sight word center activity perfect for the fall season below. 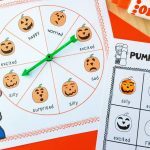 *Pair this with our EDITABLE October Sight Word Games! 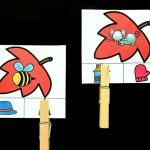 This activity is a fun, hands-on way to practice identifying and spelling out sight words. 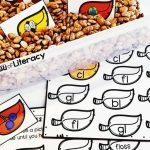 It is perfect for Preschoolers who have an interest in learning to read, as well as Kindergarteners and 1st graders to continue mastering those first 100 sight words. 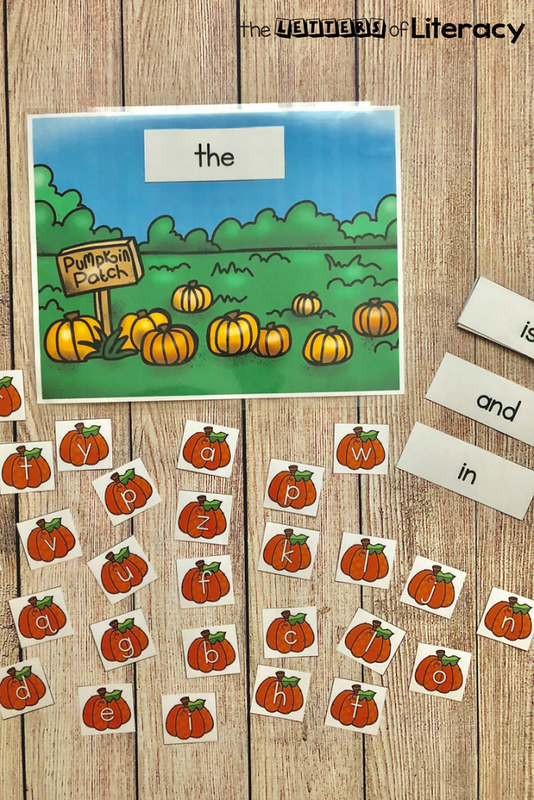 Simply print out the pumpkin patch mat, sight word cards, and pumpkin letter cards and laminate them. 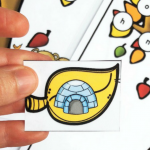 Choose the sight word cards you would like to use and put them in a pile. 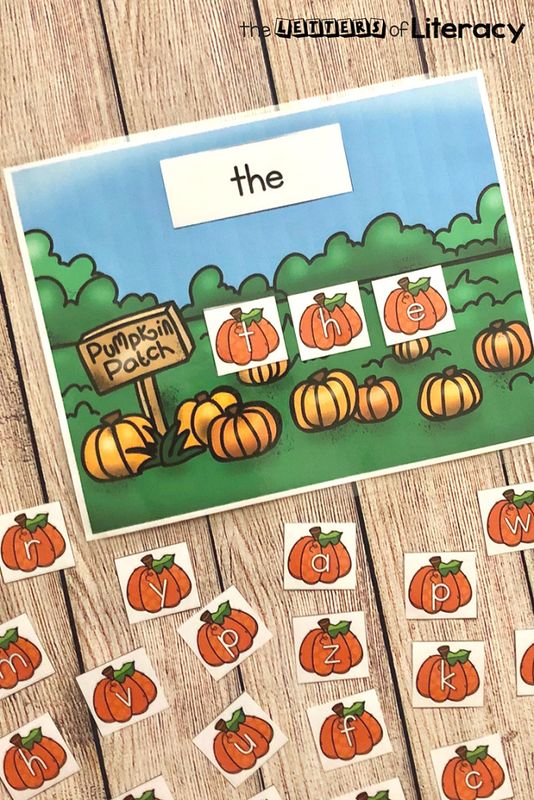 Lay out all of the pumpkin letter cards around the pumpkin patch mat. 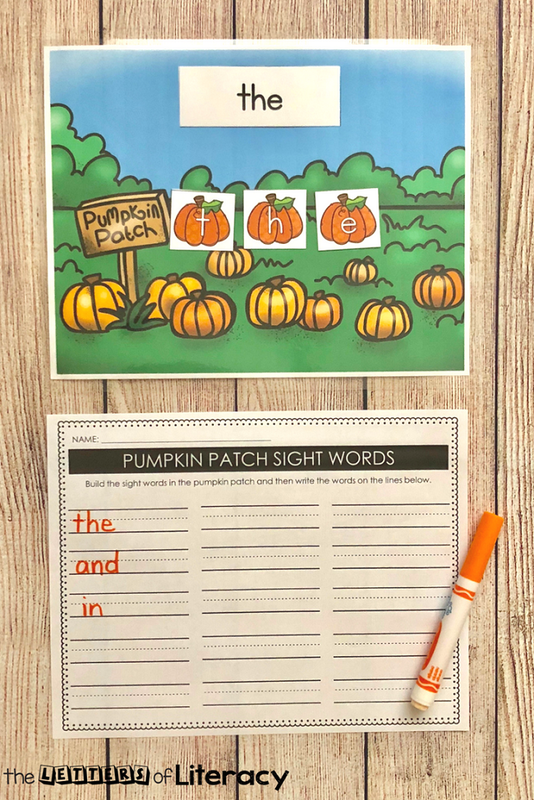 Pick a sight word and place it on the spot on the pumpkin patch mat. Identify the sight word and spell it out loud. 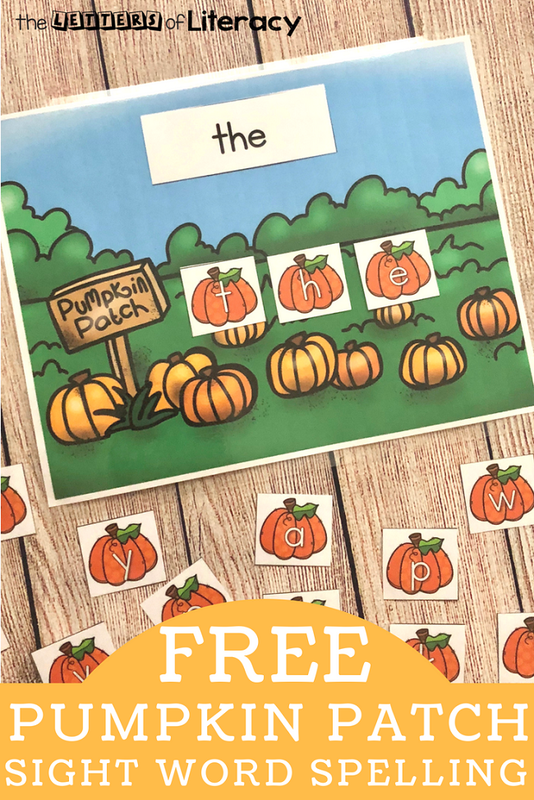 Find the pumpkin letter cards to spell it out again and place them in the pumpkin patch on the mat. After each sight word is spelled out, write the word on the recording sheet. 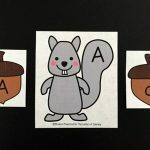 To save on copies and to reuse the recording sheet, simply print off a copy and slide it into a dry erase pocket or page protector and use dry erase markers or vis-a-vis pens to write the sight words on the sheet. Hang the sight word cards around the room and use the recording sheet to walk around the room to find and write each of the sight words. 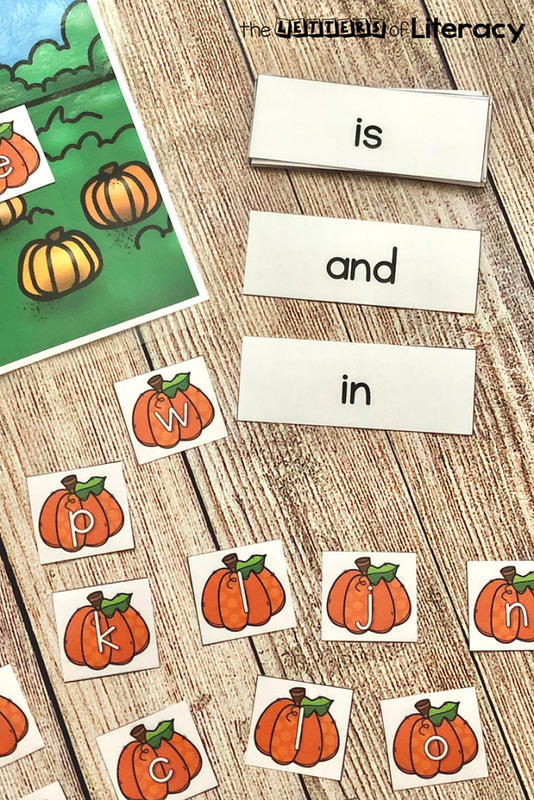 Use letter magnets or other letter manipulatives to spell out the sight words. Build the sight words with playdough or wikki sticks. Ready to practice spelling sight words? 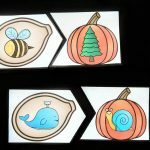 Grab this fun pumpkin sight word center by clicking the blue button below. 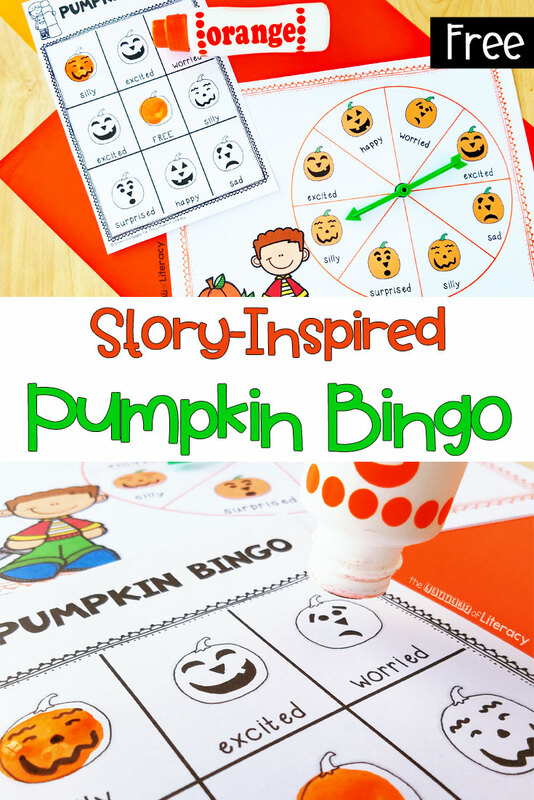 Then, hop over and grab our Pumpkin Bingo Activity!